I thought I was blown away by the three previous books in the Flight & Glory series, but that was nothing compared to what Hallowed Ground did to me. 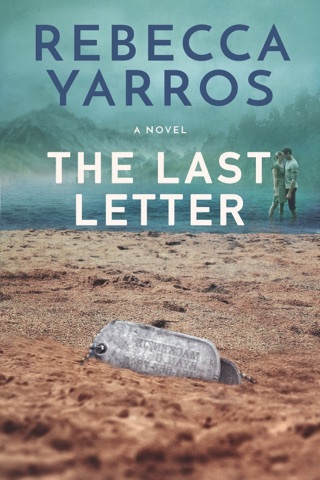 Rebecca Yarros has crafted a story that will tug on your heart strings from the beginning and it will stay with you long after you finish reading. The emotions in Hallowed Ground are so strong that you will be feeling everything Josh and Ember are feeling. Every struggle, every pain, every joy. Be prepared to FEEL! If you haven't yet met Josh, Ember and friends, I urge you to pick up all the books in the serious. I highly recommend them. You can't go wrong! Love. Beautifully describing the ugliness of war & everything involved in a military community not loosing the sight of individuals essence.As an Army brat, sister, niece, cousin & USAF flyer myself and having lost my SOARing fiancé in Afghanistan WIN25 I might not be the best critic however I do consider myself qualify to recognize this as a true to details reading. 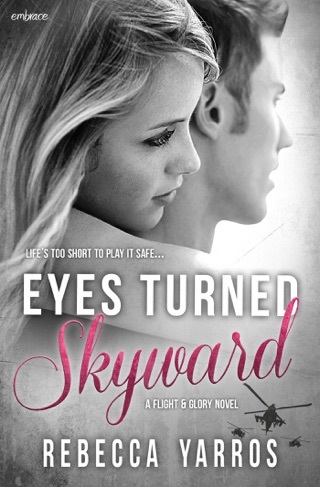 Hard to believe this could be the last Ember-Josh & Fly Boys installment I would love to see a Morgan storyline. I always manage my expectations when I pick up a “military” romance. Very few authors have the real life experience to draw from. They make their hero a SEAL or “Special Forces”, make him an alpha-male, and call it a day. Hallowed Ground blew me away. Not only is it a true military romance, it touched me in a deeply personal manner and I might not be the most impartial reviewer. You see, I’m a combat veteran. Between two tours to Iraq and two tours to Afghanistan I was deployed for more than half of a five year period. Rebecca Yarros has truly captured what military family life is like. Hallowed Ground is so much more than a romance. As the wife of an Army aviator and daughter of an Army officer, she has lived the life and it bursts through the pages in every nuance of this book. Most importantly, she has managed to capture the emotions of being a military family. Not just between lovers, but between the friends you collect and make your family. The joy, the fear, the grief, the anger, the frustration. All of it. This could be a bit of a downer for some readers. There is a lot of emotion in this book. It’s not the usual happy-conflict-resolution romantic formula, but this is probably one of the most honest stories you will ever read. As much as I loved this story, there were times I felt a little lost. 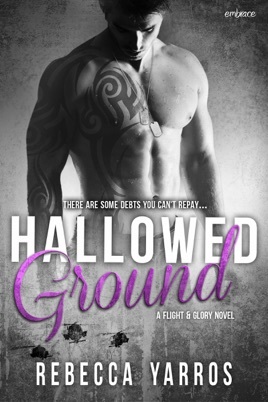 Hallowed Ground is the continuation of Ember’s and Josh’s story from Full Measures. There are a lot of references to their back story. 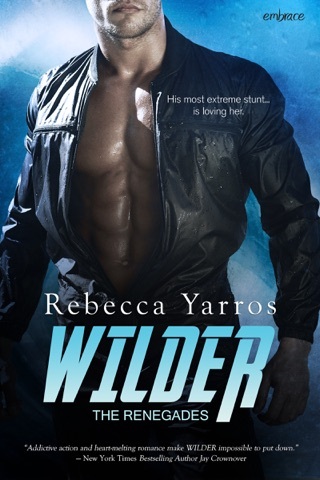 This is absolutely not the fault of the author – it is completely my fault for being a new fan of Rebecca Yarros. I only mention as a warning for other new fans – go read the first three books. You won’t regret it!